Which phone systems do we offer? With phone systems becoming rapidly more integrated within the world of IT, we understand how important it is to work with a company who understands both inside out. We can offer advice and guidance with whatever system you're considering, whether its PSTN (Public Switched Telephone Network) or ISDN (Integrated Services Digital Network), so when you purchase a phone system from us you have all the information you need. We also offer a hosted phone system using VOIP (Voice Over Internet Protocol) as a low cost alternative to an onsite phone service, as well as both on-premise and Cloud telephone systems. What features do these phone systems offer? 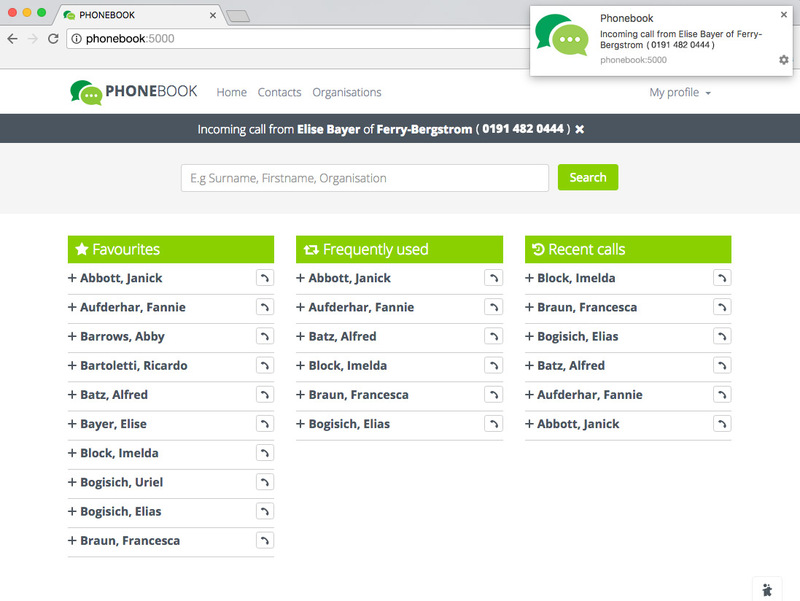 To complement our phone systems, our web development team created an online application, Phonebook. 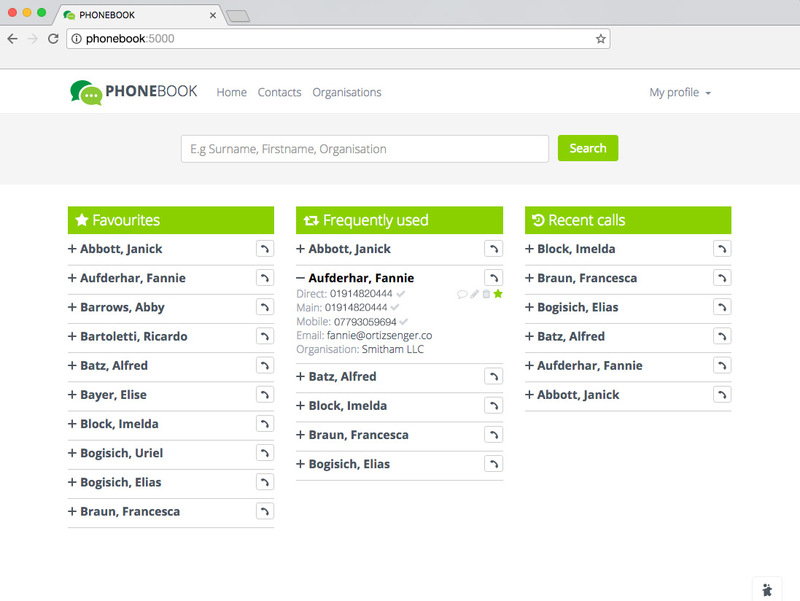 Phonebook is an accessible, user-friendly platform which helps you manage your business contacts and track your calls. 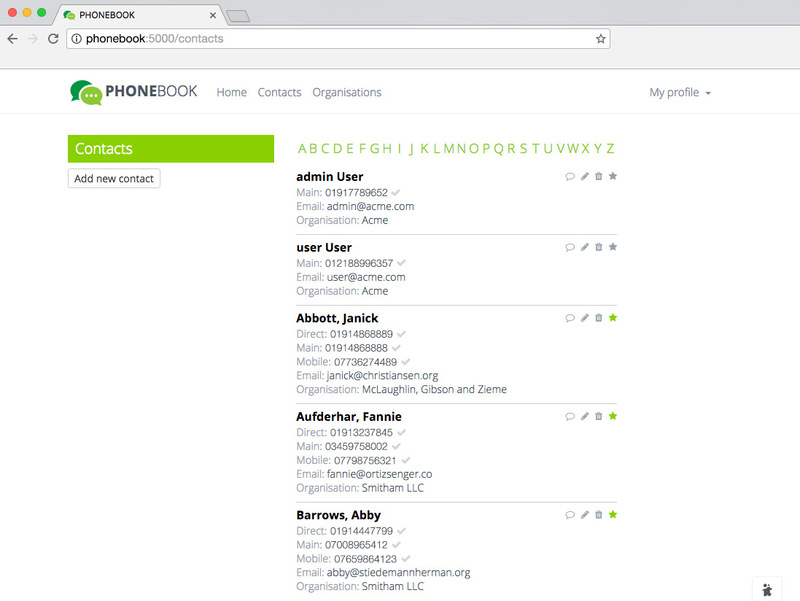 Click an email address and Phonebook will open an email to the contact using your email client. Quick dial ‘preferred’ contact numbers from ‘favourites’ and ‘frequently called’. By switching your phone systems with us, you could make extensive cost savings on line rentals and call charges. There are also no call setup charges, no minimum call charges and no call capping - and no hidden costs whatsoever. When we sell you a phone system, we appreciate that we are selling you a service that you might need help with from time to time. We will provide you with the same standard of customer support as we do our IT support customers, so you have the security of knowing we'll be there whenever you need us.